As a homeowner, there comes a time when you may decide to sell your house. It may be due to work relocation, upsizing, downsizing, or simply because you need a change of scenery. However, real estate in Sydney being a very expensive investment, the process of selling your house usually takes a long time and can be stressful. That said, there are many ways to minimise the amount of problems you may encounter during the selling process and reduce the amount of time your home remains on the market before it is sold. One of the ways to sell your house quickly is to obtaining the services of reputable interior designers in Sydney. The best interior designers will help you increase the overall value of your home which will reel in prospective buyers. functional home by using colours that induce calm and relaxation. By rule, choose three colors at a maximum; main, complementary, and highlight as such a colour scheme is easy on the eye. If you’re still not sure of the shades to paint your walls, it is best to go neutral. By painting your walls and ceilings white in the beginning, you have the opportunity to change it easily once you have decided on the colours you want for your home’s interior. A modern interior design is the perfect foundation of a home that delivers both style and function. Make sure that everything you place inside your house either adds beauty or is useful for you and the rest of the family. When it comes to designing your home interiors, make sure to focus on the functionality and practicality of the decors that you wish to install. Your home’s interior design should feature uniqueness and quality. Work with Sydney home interior designers that understands the importance of quality in design. It’s more cost effective to plan carefully and to choose expensive but quality items over cheap ones. It will cost more if you don’t prioritise the purchase of quality items for your home or obtaining the service of experts. Check out our innovative and brilliant new home designs here. If you wish to speak with us, you may reach us on 02 8937 3199. 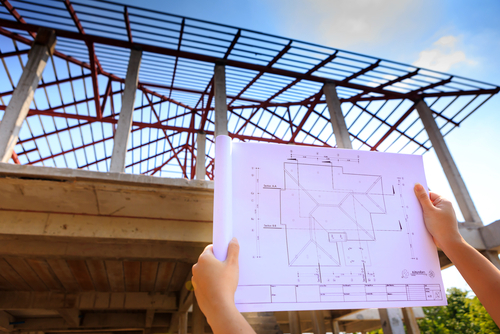 Why Do You Need Professional Drafting Services for Constructing a Sydney Home? It’s always nice to come home to a place that you can truly call your own. If you are planning to build your dream home in Sydney, you probably will not want your house to look like others in your neighbourhood. You want your home to look unique and elegant. This is where the services of home drafting companies come in. Getting all your ideas on paper can be very challenging especially if you don’t have a background in home design. All your ideas need to be drawn as blueprints to give your architectural contractor specific instructions on how to build your home according your requirements. Hiring the services of draftsmen is an efficient and affordable way of transforming all your ideas to reality. 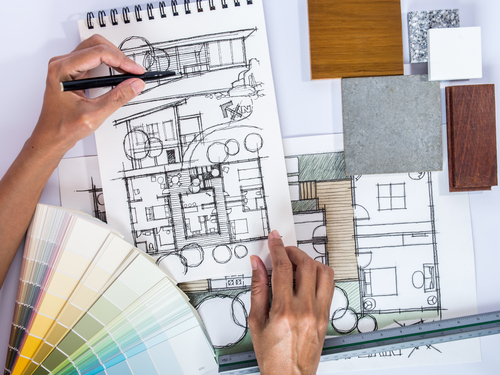 A draftsman or a draftsperson is a professional that makes use of the tools of their trade to draw or sketch home designs. Drafting companies are the agencies you need to contact if you are looking to construct a house with a customised design. Architectural drafting involves the use of computer-aided design or CAD in the creation of a home design. They are mainly responsible for producing technical sketches and drawings that will be used by contractors in the construction of residential homes. 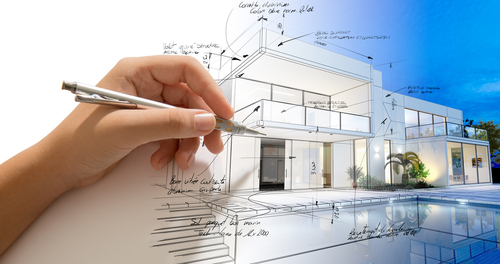 Draftsmen are also tasked to create drawings of circuitry and mechanical designs for homes. In addition to drawings, draftsmen are responsible for listing down technical specifications, measurements, and procedures, too. It is a lot more cost-effective to hire the services of drafting companies if your aim is to build less-complex home construction projects such as home additions or renovations. You do not need an architect to provide you with CADs if you have a limited budget for your home construction project. 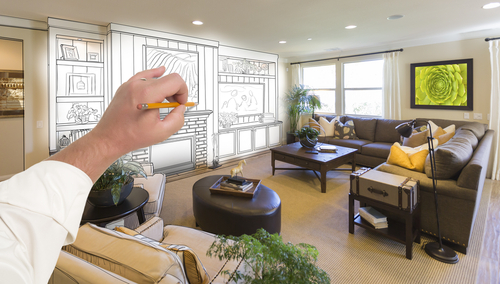 Hiring professional and seasoned draftsmen is more affordable and can provide you with the same output as architects. Now that you have a clear understanding of what a draftsman can do, you will be able to make an informed decision on which professional service you need to hire once you’re ready to start that dream house construction or home renovation project in the future. Check out the services that we offer besides drafting services. For enquiries, you may also reach us on 02 8937 3199 today. Many homeowners pass up the opportunity of obtaining house plans from professional drafting service. Translating your dream home into reality takes more than calling a contractor to begin construction. In any type of improvement project such as major construction to simple home extension efforts such as first floor additions, it is crucial to have a detailed and accurate draft plan in place. A well-planned home addition project makes everything faster and more economical for homeowners, too. A good home extensions plan can be the difference between a project that only takes weeks to complete and jobs that may potentially be delay the for months. Without a plan, homeowners are at risk of spending more than the original budget. If you have a fixed budget and cannot compromise on the move-in date, your construction endeavor really needs to start with getting a drafting service company like precision planning to help you create a solid plan. Before any construction , there are a few things that homeowners need to furnish. It’s best to take note of these aspects so your home addition or home extension goes smoothly and is within budget. Precision planning can help you create a tailored home improvement plan in order to make your construction process easy and smooth. To know more about home additions, design and the other services we offer, click here. For enquiries, you may call us on 02 8937 3199. Creating beautiful interiors that are comfortable and functional isn’t easy. Thankfully, there are professionals that can take your ideas and make them a reality. Sydney has a teeming pool of talented interior designers with an impressive portfolio of new home designs that are refreshing, unique, and beautiful. So what should you look for when choosing a Sydney-based interior designer? A good and skilled interior designer listens to their clients. Remember that it is your home, so you need to have a final say on how it will turn out. An interior designer who listens and respects all your ideas and decisions will bring you the perfect representation of how your home should look and feel like after construction. Of course, you cannot expect all interior designers in Sydney to cater to all your needs. But if you’re lucky, there are also professionals that can help you process some paperwork for construction and with the securing of permits. It’s also best to be working with interior designers who have the right connections and referrals. The connections and referrals of suppliers and tradesmen will definitely save you time and money. 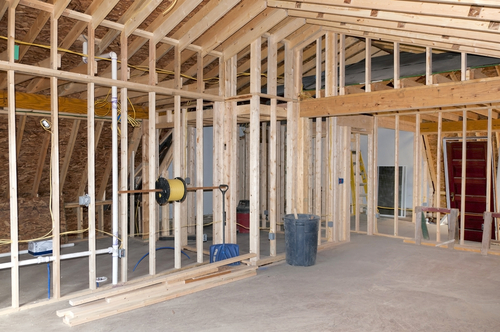 Home construction is undoubtedly a big investment. To make sure that your hard-earned money is going to be well taken care of, make sure that all professionals you deal with, including interior designers, are legitimate professionals in their chosen industry. Check their credentials by asking for certifications, licenses, and diploma certificates if necessary. An experienced and skilled interior designer based in Sydney will not hesitate to provide references of past clients. You may also check out online reviews and testimonials before striking an agreement with an interior designer. Once credentials are verified, you can then proceed to planning the design of your home. If you’re in need of professional interior design services, why not try us? Please check out our company and professional portfolio. To request for quotes or for any other enquiries, call us on 02 8937 3199 today! Home design is one of the most important elements in the construction of a new home. Most homeowners would agree that creating a design for a new home can be both rewarding and stressful. That’s where building designers can help. You may already have several design ideas for your home, but the execution should be entrusted to skilled professionals who specialise in the design of custom homes in Sydney. How to choose a building designer for your Sydney home? Picking out a designer is an undeniably important decision that you need to make before the start of a construction project. The building designer that you decide to work with, as well as the decisions that you make along the way, will clearly reflect the outcome of your home and the overall cost of building your dream house. Why should house design be handled by professional building designers? House design is a complex endeavour as it includes several procedures. Building custom designed homes is not only limited to drawings and drafts, but also involves an outstanding amount of documentation just in the securing of approvals and liaison with multiple consultants. How to choose a professional Building Designer in Sydney? Precision Planning are a boutique building design company with experienced, skilled and competent home design professionals in Sydney. Click here to view our other services or call us on 02 8937 3199 to request a fee proposal.